Keeping in mind the diverse requirements of our clients, we are engaged in offering a wide range of Acrylic Catering Display Counters. The entire range of our products is made up of premium quality material bought by the trustable and authentic dealers of the industry. 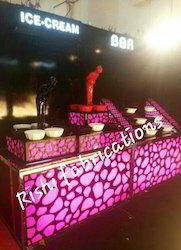 Acrylic Catering Display Counters are widely used in confectioneries and bakeries. 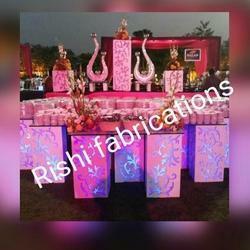 We are actively involved in providing premium quality collection of AcrylicWedding Salad Counter. 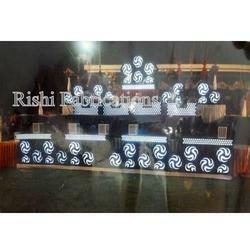 These AcrylicWedding Salad Counter are in accordance to the defined industry values. We are highly acknowledged as a leading organization in this field. Additionally, our AcrylicWedding Salad Counter are widely appreciated and these are available and provided by us at industry leading rates. We are one of the well-known manufacturers and suppliers of Acrylic Display Catering Counter. The offered Acrylic Display Catering Counter is a unique fabrication for displaying the food items kept inside utensils. Our supplied Acrylic Display Catering Counter is made from superior grade acrylic polymer which ensures longer serviceability and durability. 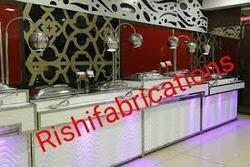 We are one of the well-known manufacturers and suppliers of Acrylic Chaat Counter. 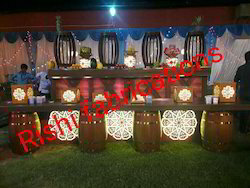 The offered Acrylic Chaat Counter is a unique fabrication for displaying the food items kept inside utensils. Our supplied Acrylic Chaat Counter is made from superior grade acrylic polymer which ensures longer serviceability and durability. Acrylic Chinese Food Counter is offered by our company in an array of sizes, shapes and designs as per the requirements and specifications given by our customers. These Acrylic Chinese Food Counters are greatly commended, owning to their noteworthy features such as durability, reliability, neatness and capacity. 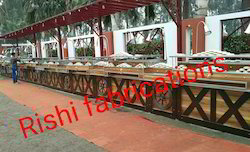 We fabricate these Acrylic Chinese Food Counters using optimum quality raw material. Our range of products is commonly used in bakeries, special occasion and parties. We have different counters for different Chinese food. We are one of the well-known manufacturers and suppliers of Acrylic Ice Cream Counter. The offered Acrylic Ice Cream Counter is a unique fabrication for displaying the food items kept inside utensils. Our supplied Acrylic Ice Cream Counter is made from superior grade acrylic polymer which ensures longer serviceability and durability. 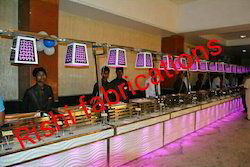 Reckoned amid one of the distinguished business names, we have been exquisitely immersed in presenting a wide compilation of Stylish Catering Counter. A team of adroit personnel designs these products using top notch grade material and hi-tech tools & tackles in conformity with the market set norms and principles. Also, their fine finish and precise design makes these a preferred choice of our clients. 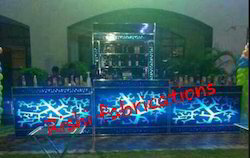 We manufacture of Acrylic Display Catering Counter. The offered Acrylic Display Catering Counter is a unique fabrication for displaying the food items kept inside utensils. Our supplied Acrylic Display Catering Counter is made from superior grade acrylic polymer which ensures longer serviceability and durability. Usefull for Marriages & Parties.